We reported a few times not too long ago about Valve bringing their popular game distribution application Steam to the Mac. Since then here have been other developers inspired by the move to the platform, which is starting to get more attention as the iPad and iPhone continue to make Apple software a viable gaming platform. 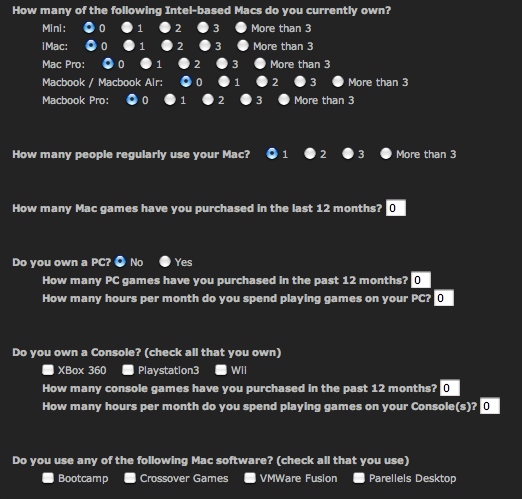 For those of you that are interested in getting in on the action early and trying some the Mac versions of popular Valve games as well as the new distribution software they are creating for the Mac, you will be interested in knowing Valve has already begun accepting applications for the beta program. You will have to have a steam account in order to sign up, as well as provide a screenshot of your system configuration. Valve plans to contact applicants that best fit their program in the coming weeks. Good luck!